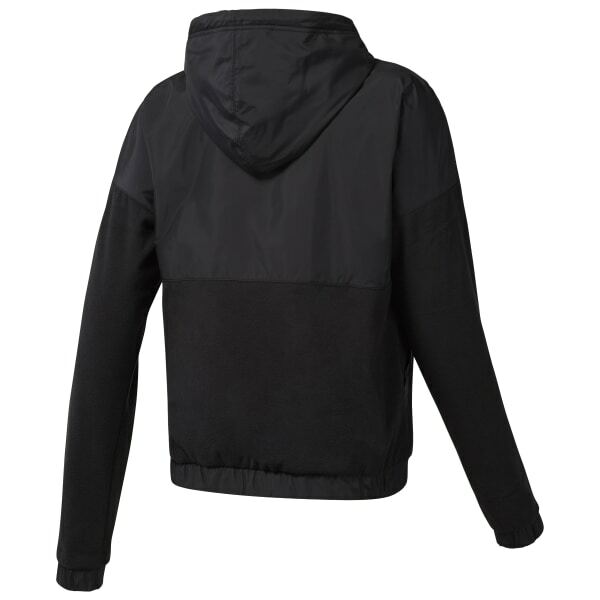 Keep cozy on commutes or rest days with this women's hoodie sweatshirt. Microfleece fabric is soft to the touch and woven details on the front and back help add texture to the look. The regular fit and dropped-shoulder design highlight this layer's easy-wearing comfort.